I have a hunch there's a chapter in Wedding Planning for Dummies about how you shouldn't play the "Rains of Castamere" at your reception. 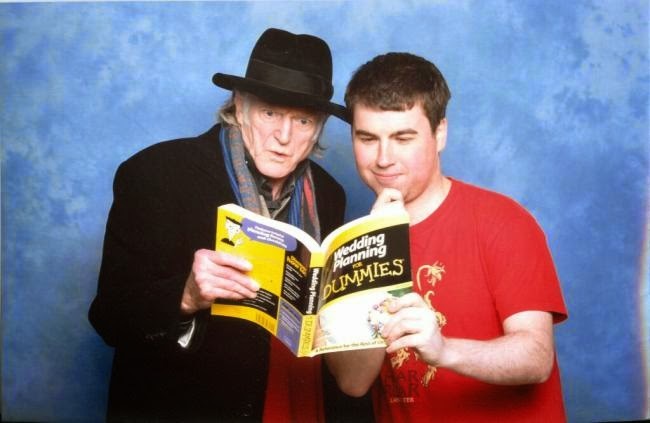 It's pretty much the best possible photo you could take with Walder Frey. In case it's not on your radar, Father's Day is just over two weeks away on Sunday, June 15. Like the Rebels taking on the Death Star, you should plan ahead. Don't wait until the last minute to scramble for a present or boring card, choose something now! CuffLinks.com is a fine place to start your shopping. They have everything from cufflinks (obviously) to socks to tie bars to ties to money clips. 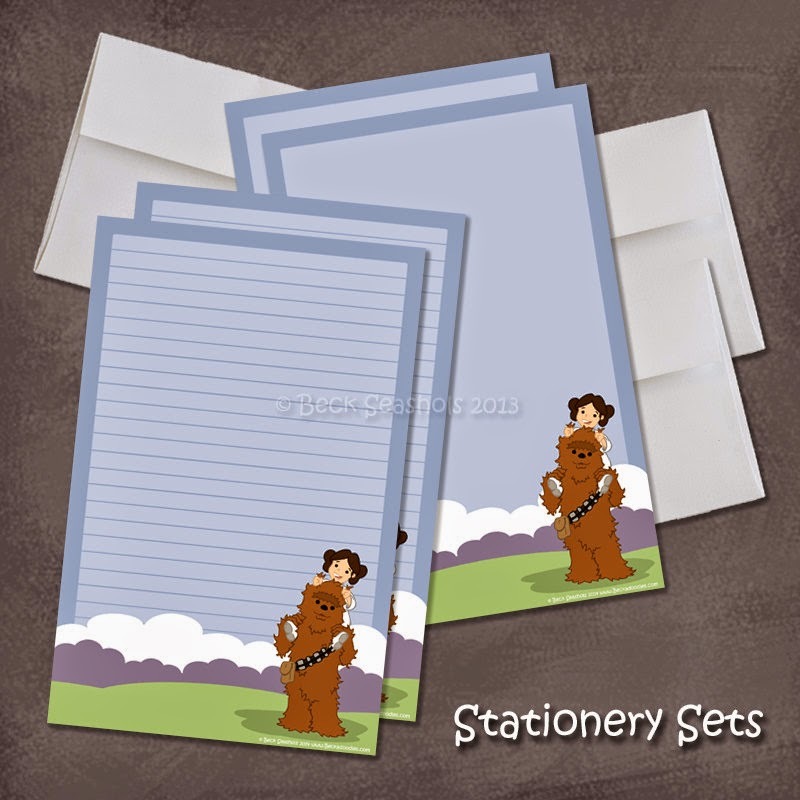 You can choose something practical and stylish, and don't worry, they have geeky options. 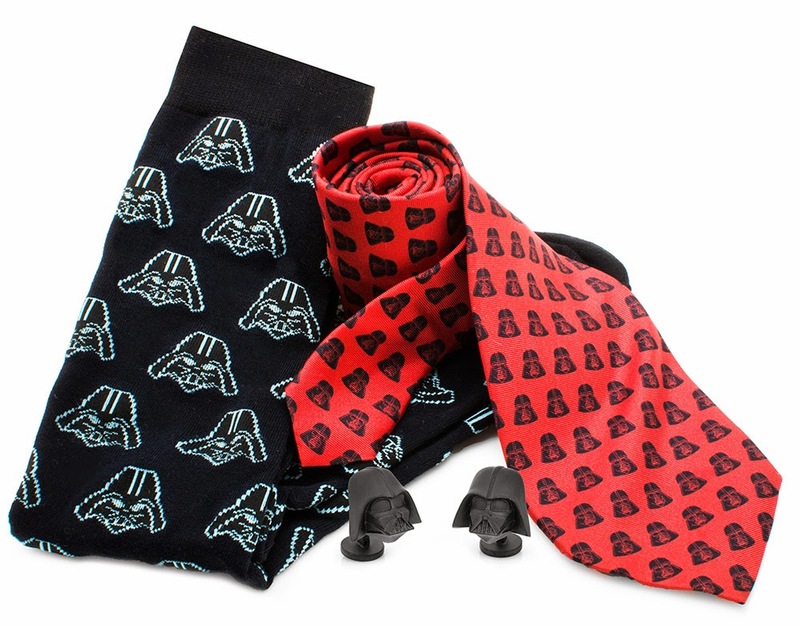 I especially like their Star Wars ties. Not sure what to get for dad? 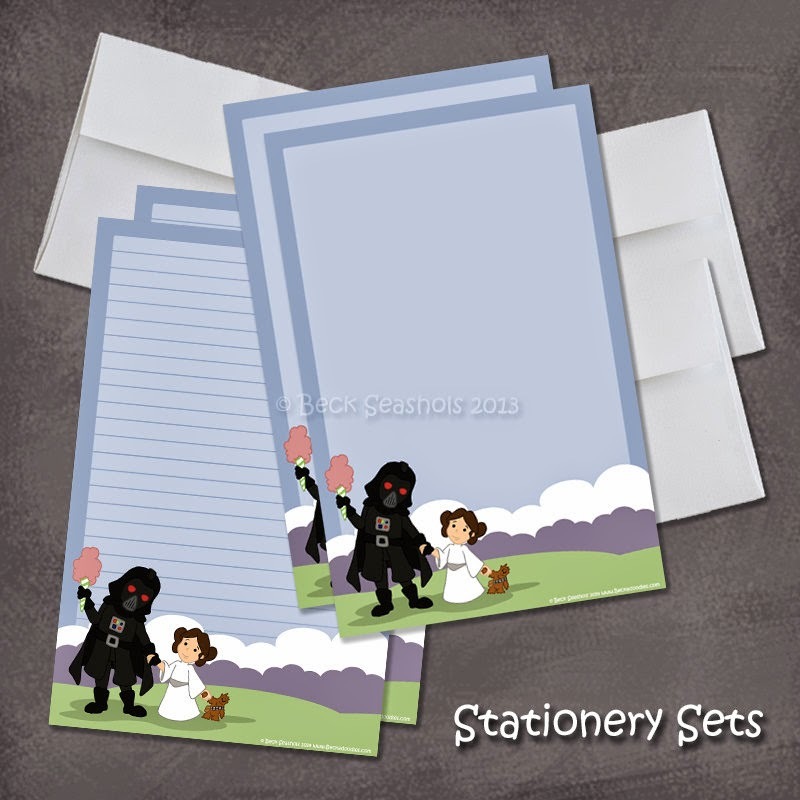 While you're thinking about it, why not enter a giveaway to win a Darth Vader Gift Pack? The combo would make a wonderful gift for the One Bad Dad in your life. And by bad, I mean cool - not like Darth Vader! The retail value for this prize is over $200! But you can win it simply by entering below with Rafflecopter - you even have the chance to gain multiple entries. Commenting is mandatory, and the the rest of the steps are optional. You have until 11:59pm EST Wednesday, June 4, to enter, and the contest is limited to U.S. residents only. I'll choose a winner at random and notify them via email as well as announcing it here. What time is it? IT'S LOOT CRATE TIME! 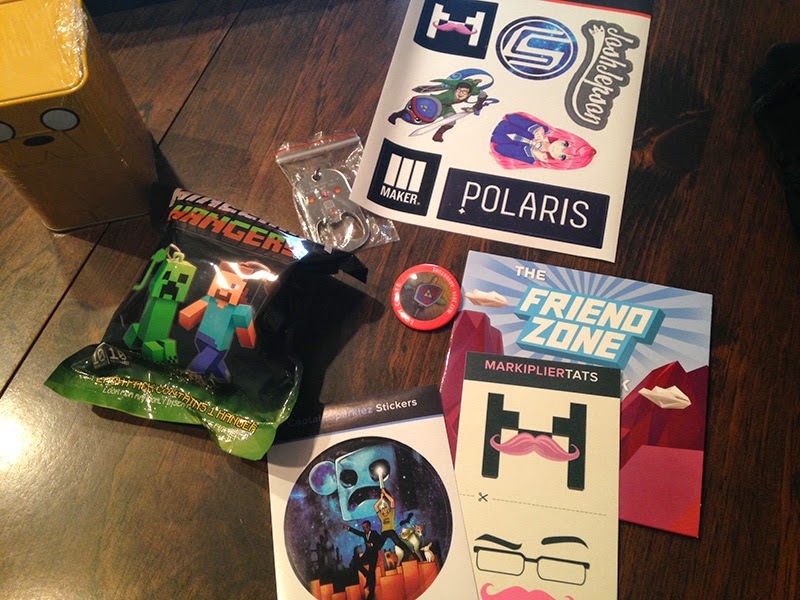 Friend Zone soundtrack, Minecraft keychain, stickers, tattoos, oh my! 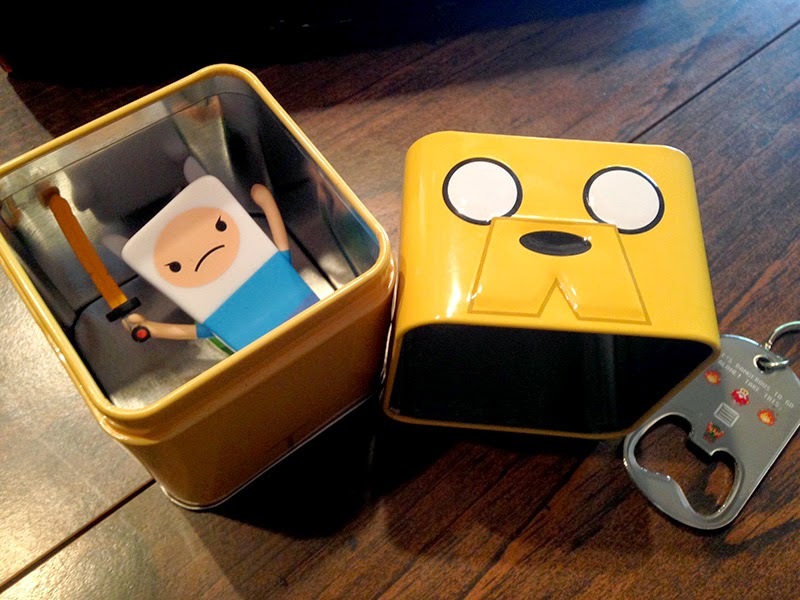 My favorite item from the box: a Jake tin with a Finn toy, huzzah Adventure Time! 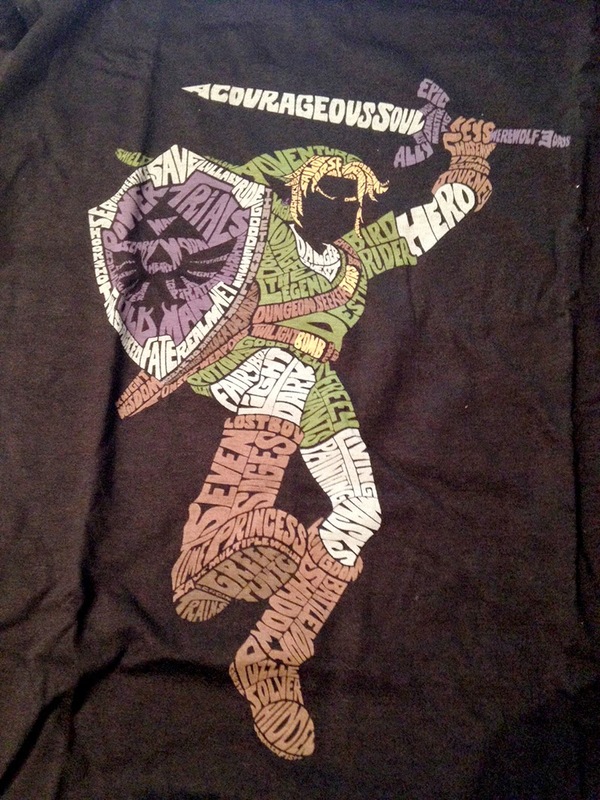 Love the quote style design of this Link t-shirt by Zen Monkey Studios - they made it especially for Loot Crate! What the junk? Let me out of this tin! 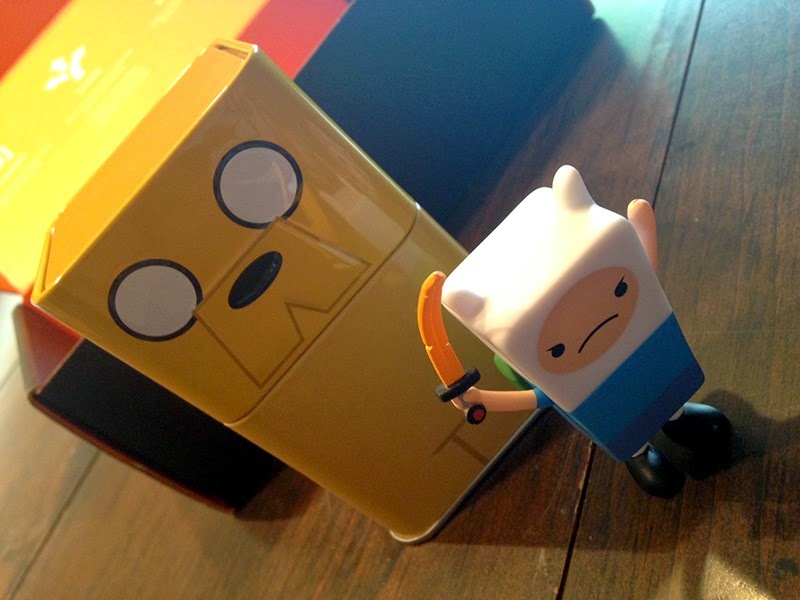 I was so excited about the Adventure Time tin and toy that the rest of the box's contents didn't really matter to me. 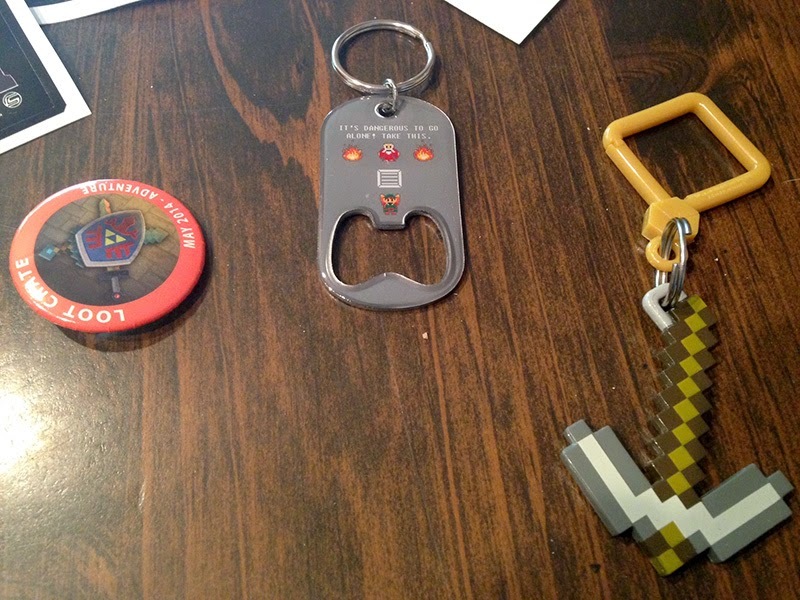 As it turns out, I really dig the Link shirt and another bottle opener is always helpful! I admit I haven't fallen into the Minecraft void yet, so I'll probably save that for a friend who likes the game. Overall, this hasn't been the best box I've received as far as fitting things I like, but did I mention how much I love that Adventure Time tin? 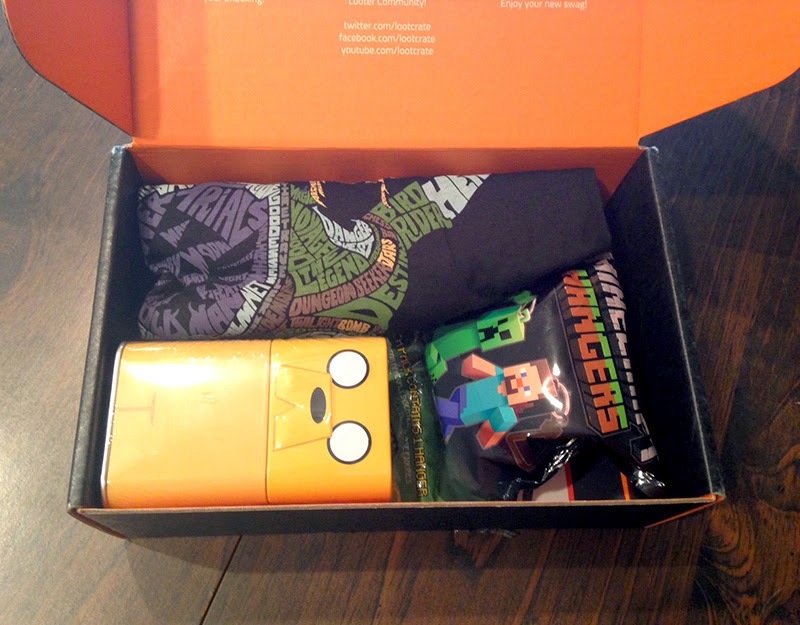 Based on the t-shirt and Adventure Time tins alone, the retail value of this particular Loot Crate is already well over the $19.95 it cost to subscribe. Considering trying Loot Crate? Sign up now so you can get June's box! Use my discount code gwcloot to get $3 off. Have fun with all your new toys! 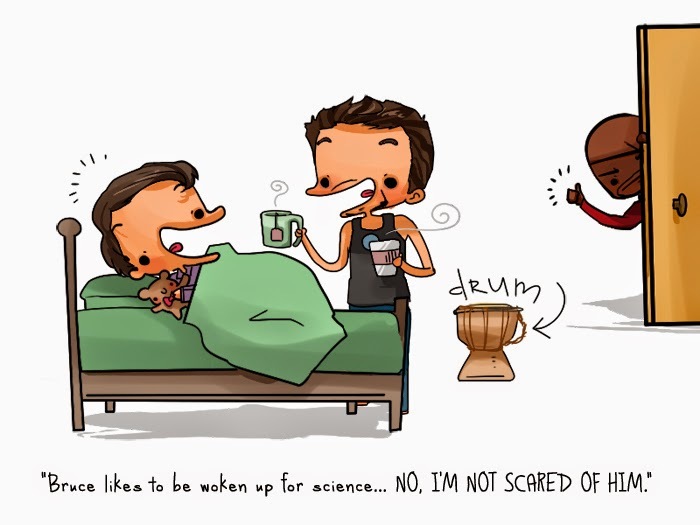 Sometimes the members of the Avengers act like children. Overgrown, superpowered children. I imagine getting them to do mundane chores is a lot like herding cats. 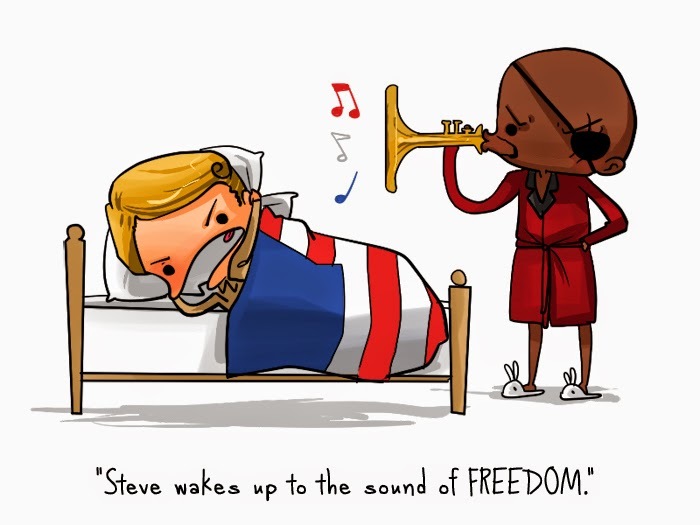 Could you imagine if they all lived in barracks together - or in Tony Stark's mansion - and Nick Fury had to wake them up for duty every single morning? I wouldn't want that job, but in a sweet comics series by Jenn Menze, we see that Fury has figured out the best way to approach each of the Avengers and Loki in the early hours of the day. Ahhh! I want to see all these scenes in Avengers 2! 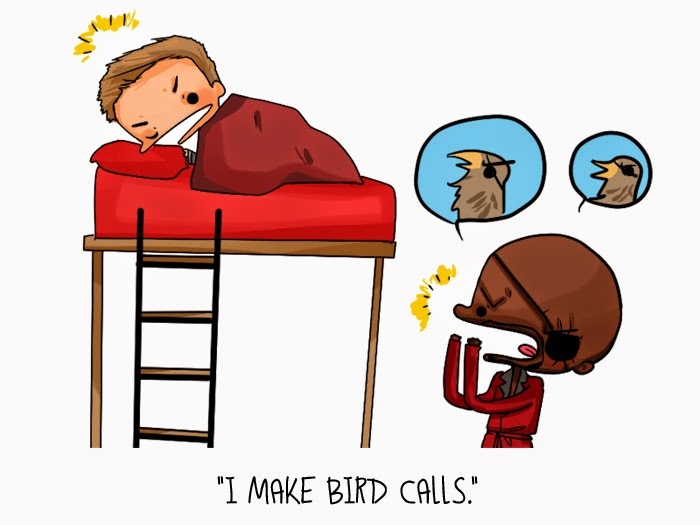 Nick Fury's bunny slippers might be my favorite part... or maybe it's the fact that the little birds in Hawkeye's comic have eye patches, too. I can't decide. I'm a sucker for cute. I know this isn't a surprise for most of you, and neither is the fact that I love to share the precious things I stumble upon. The latest dose of adorable showcases the work of Beck Seashols. I've been following her art for a while on Instagram because she draws wonderful and cartoony versions of characters from Boba Fett to Daenerys Targaryen. Looking at her Etsy shop gives me a serious case of grabby hands. 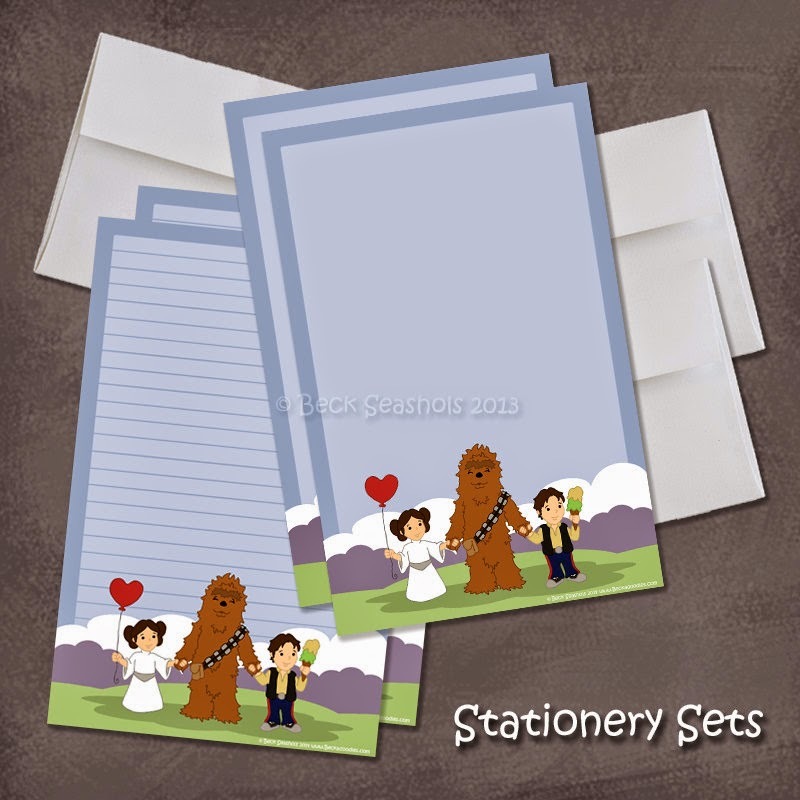 I can't wait to send out notes on my Chewie and Leia stationery. 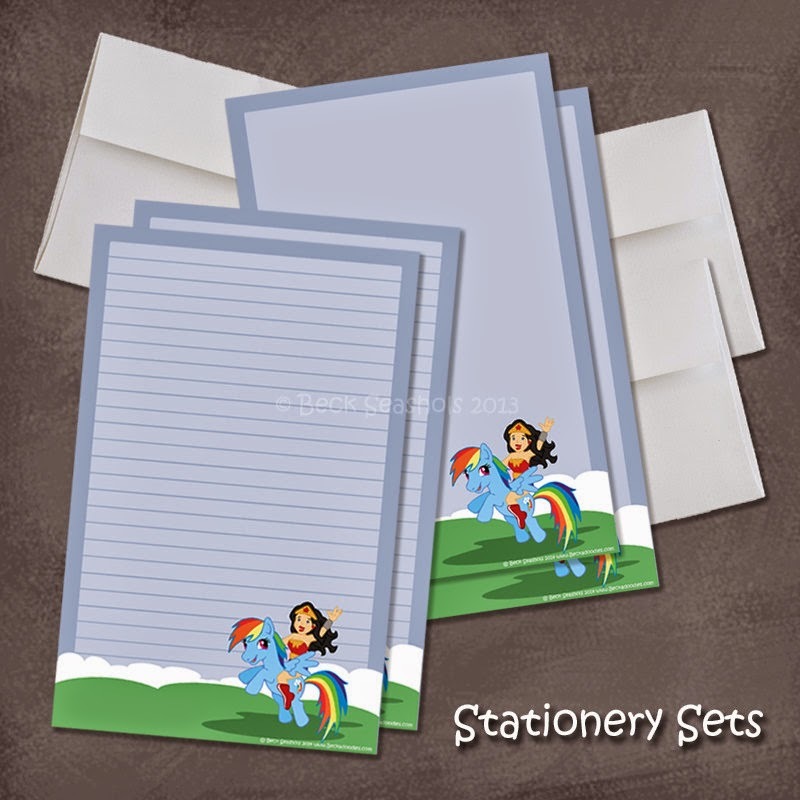 Shop for stationery, stickers, and more over at Beckadoodles on Etsy! Yes, I stopped them in the food court while they were trying to get breakfast. I was excited. 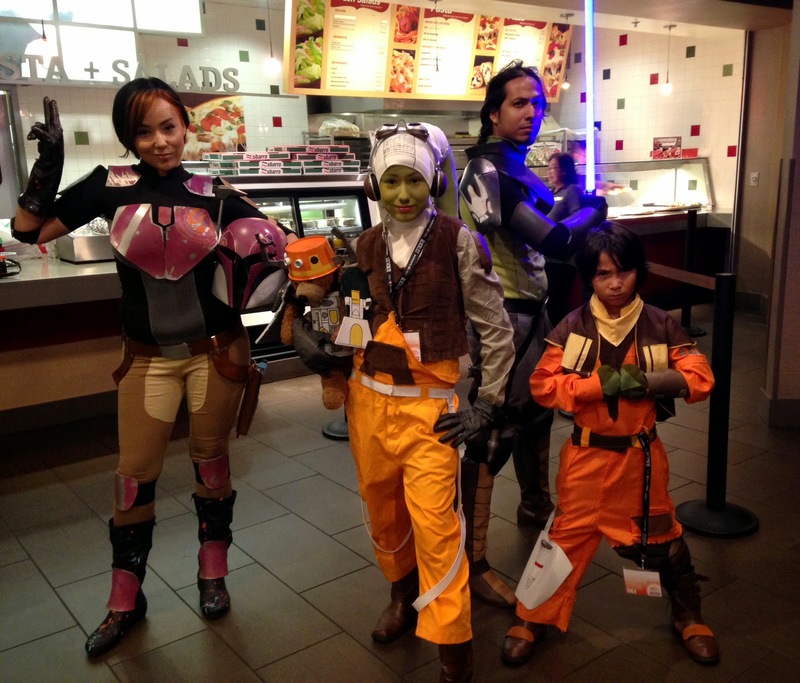 Sal Perales (Kanan) and his family ran into Dave Filoni at the convention and they were pulled on stage during the Star Wars Rebels panel so everyone could admire their effort. What other franchises do that with their fans? 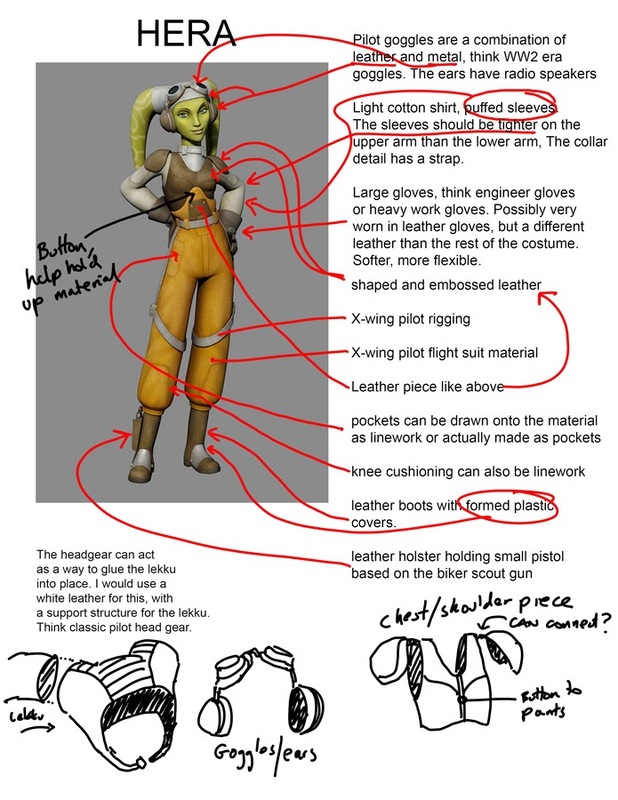 Are you planning to work on any Star Wars Rebels cosplay? Isn't it pretty? The canvas, high quality journal comes filled with pages for you to keep memories of all the fun you have at conventions. Do you collect autographs? There's a page for that. 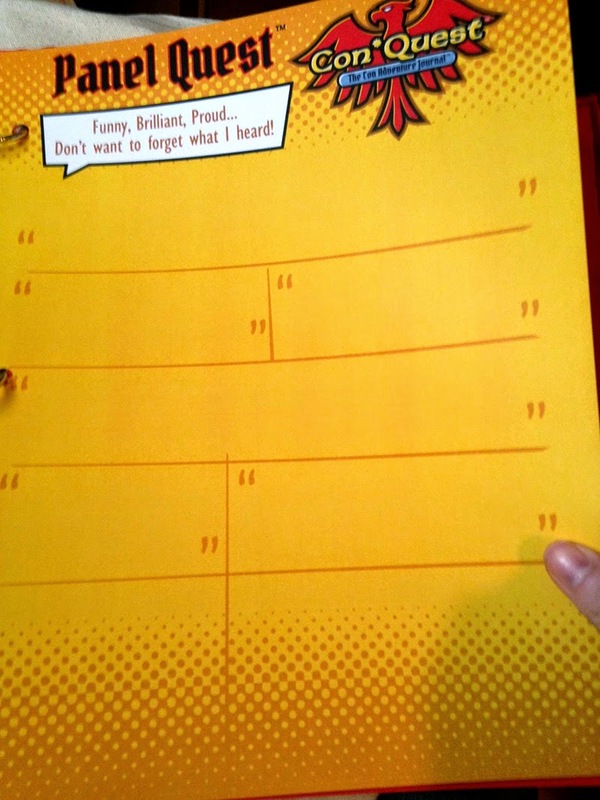 Want to write down important quotes from a panel? Yep, there's a section for that. 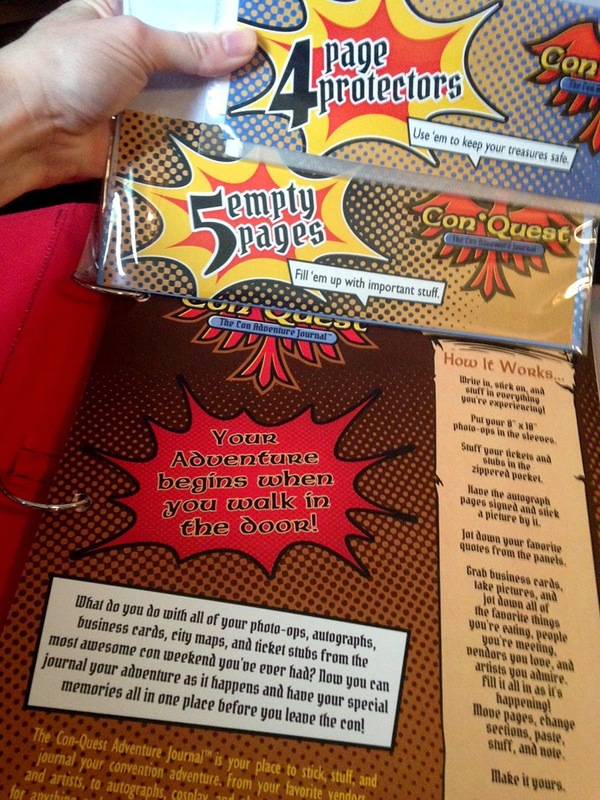 You can have artists sketch in the book, and you can store all the business cards you nab. It's not pictured, but there are even a couple of pages to make notes about the city the convention is in. You can keep track of the best and worst places you ate and cool stuff to check out outside the convention center. So thoughtful! The only part of this journal I'm on the fence about is the size. It's tricky because it needs to be big in order to be a three ring binder, and you need all the space to collect your autographs and loot. I totally understand that. However, I don't know if it would fit in my normal convention bag. 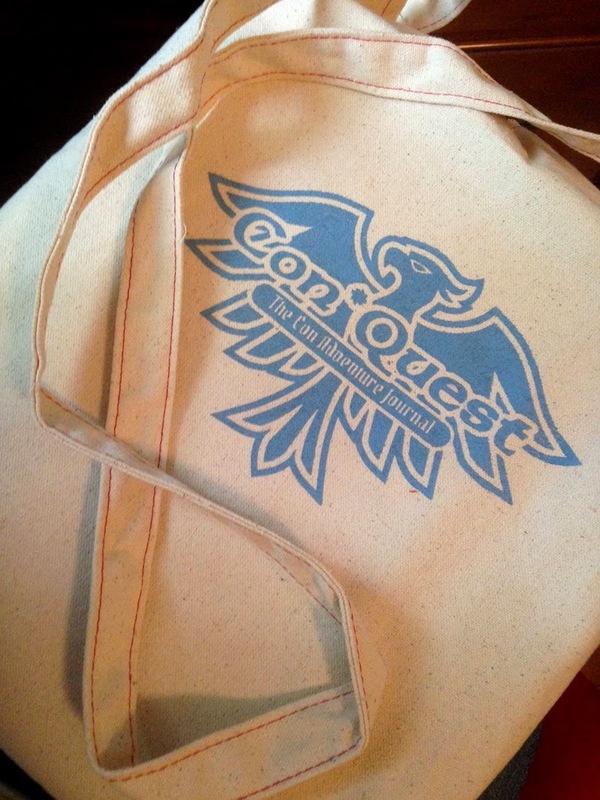 My guess is they've considered that and hence the awesome tote bag you can get to go with the journal. It's the perfect size and has a long enough strap that you can wear it across your body comfortably (I tested it!). Maybe they'll eventually offer smaller sizes. Intrigued? 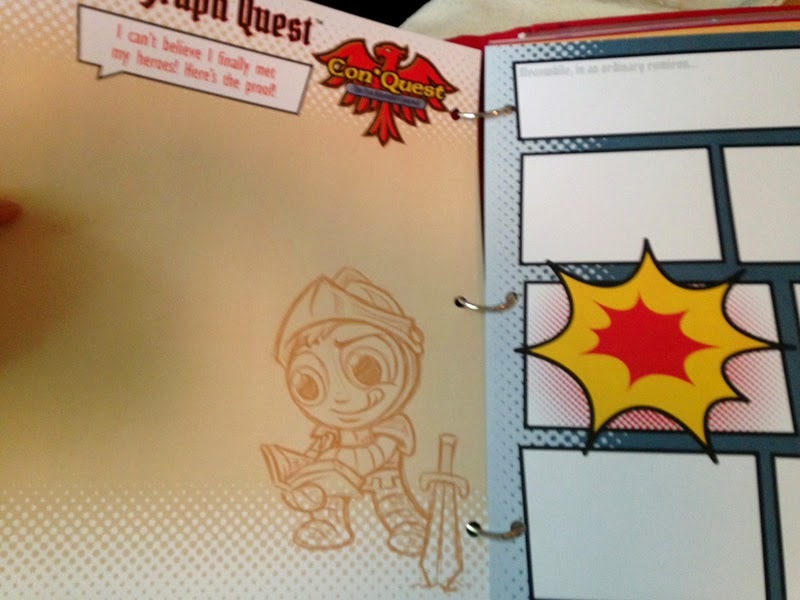 You can buy a Con*Quest Adventure Journal of your own at Etsy for $40. It comes with a free tote bag. 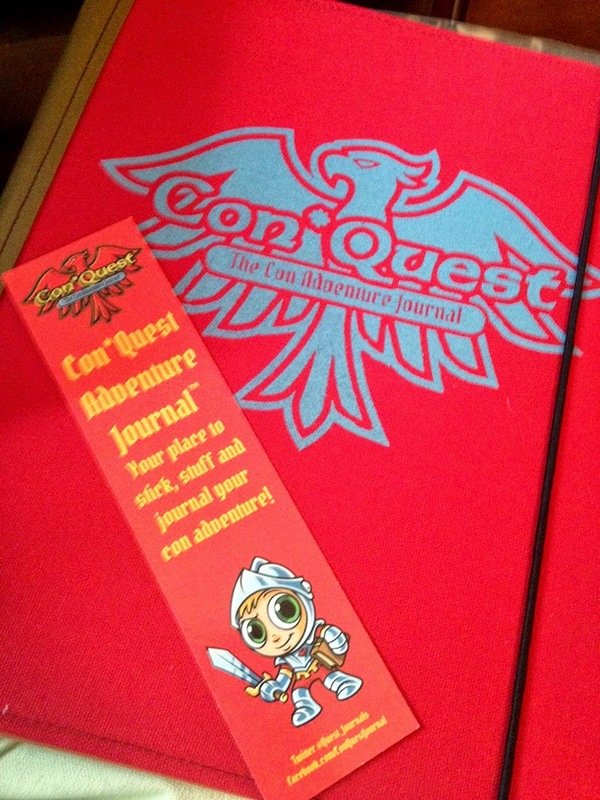 Note: The Con*Quest Adventure Journal was provided for review purposes. This did not affect my opinion of the product or my review. Ah, Universal's Islands of Adventure. Home of Wizarding World, Jurassic Park, Marvel Super Hero Island, and some really lame t-shirt choices for females. I noticed the disparity on my first visit to the park two years ago. 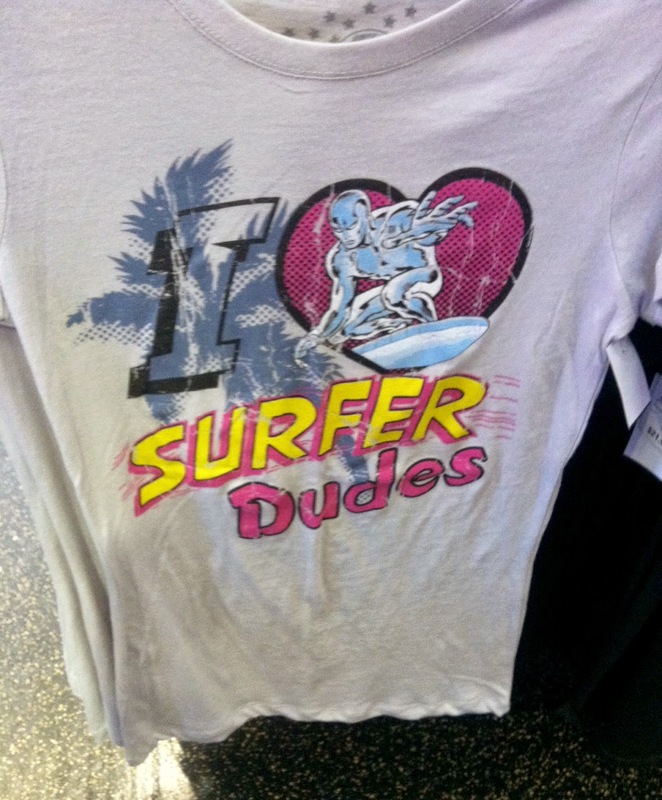 For shirts made for boys and men, the designs prominently featured symbols like Captain America's shield, graphics of various heroes, or the X-Men logo. 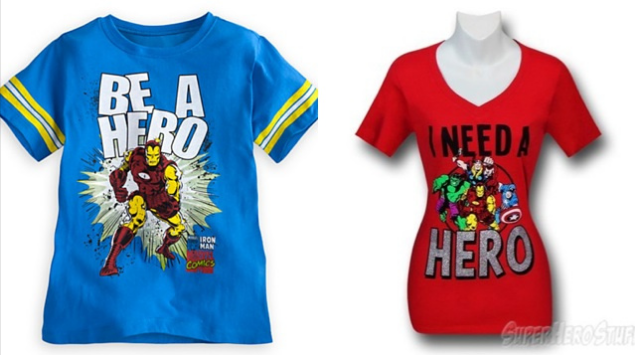 If there was a shirt with text, it said something along the lines of "Be a Hero." There were no shirts about wanting to date Storm or Spider-Woman or shirts featuring She-Hulk that said, "My girlfriend has super strength." Nope. But, otherwise? 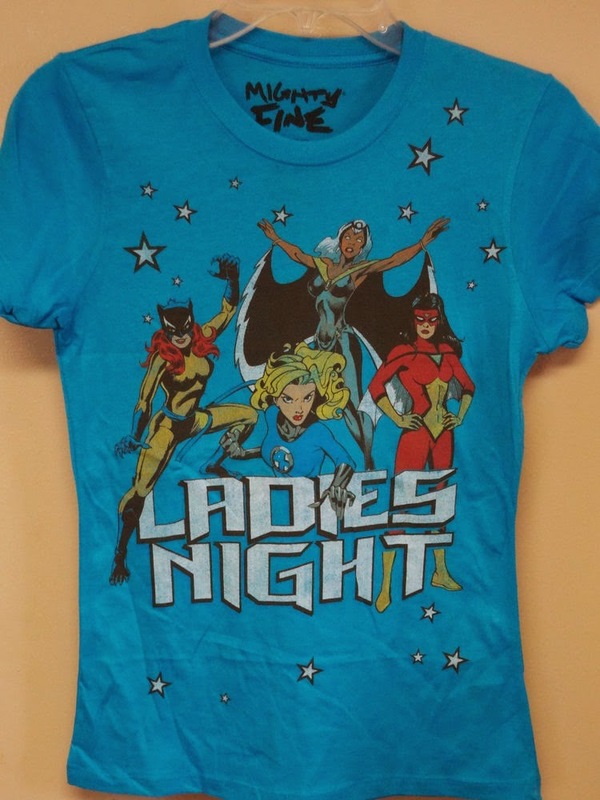 Ninety-five percent of the shirts for women and girls were some variation of "My boyfriend is a superhero" or "I only date superheroes." Now, are those designs horrible? Not necessarily. 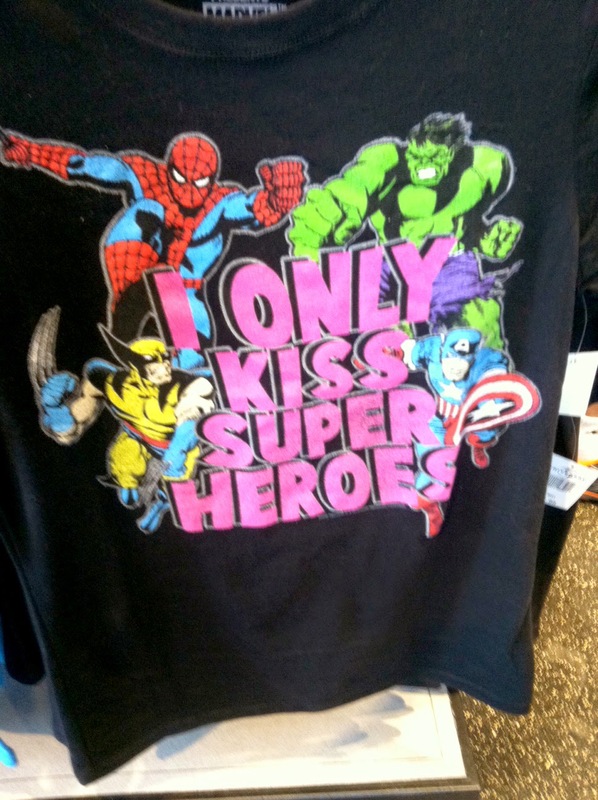 What makes them icky is that they - they being Mighty Fine specifically and manufacturers at large - don't make similar shirts for boys that say "I only date superheroes" or "My girlfriend is a superhero." Likewise, they don't make "be a heroine" shirts for girls and Islands of Adventure doesn't stock many of the designs on men's tees in women's cuts. 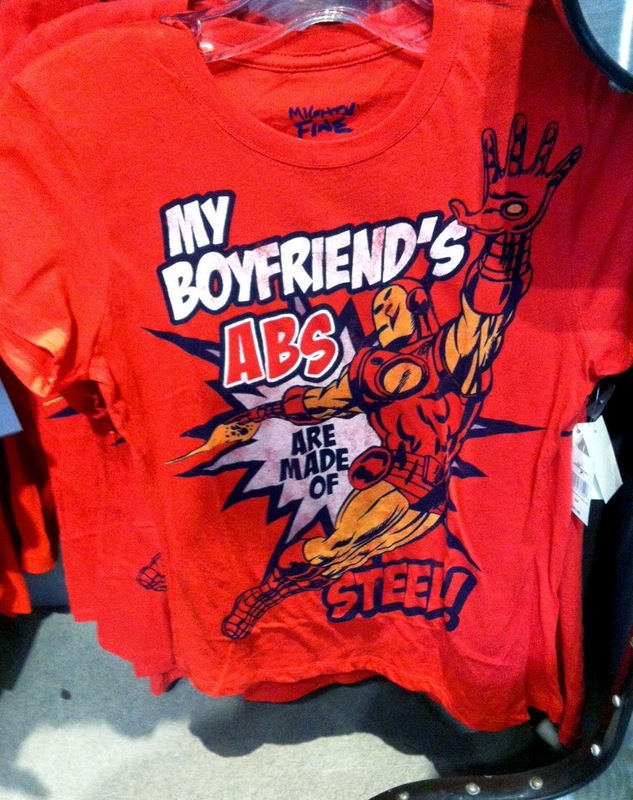 If I wanted to buy a Captain America shirt that was made to fit me on my visit to Islands of Adventure, I would have to picked the option that says "My boyfriend is a superhero." 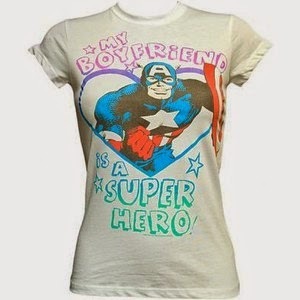 I have a crush on Captain America, I admit it - but I want more. I didn't have any options that allowed me to dress like Cap or embody the hero. Only options that said I had feelings for him. This t-shirt doesn't display the message I want. 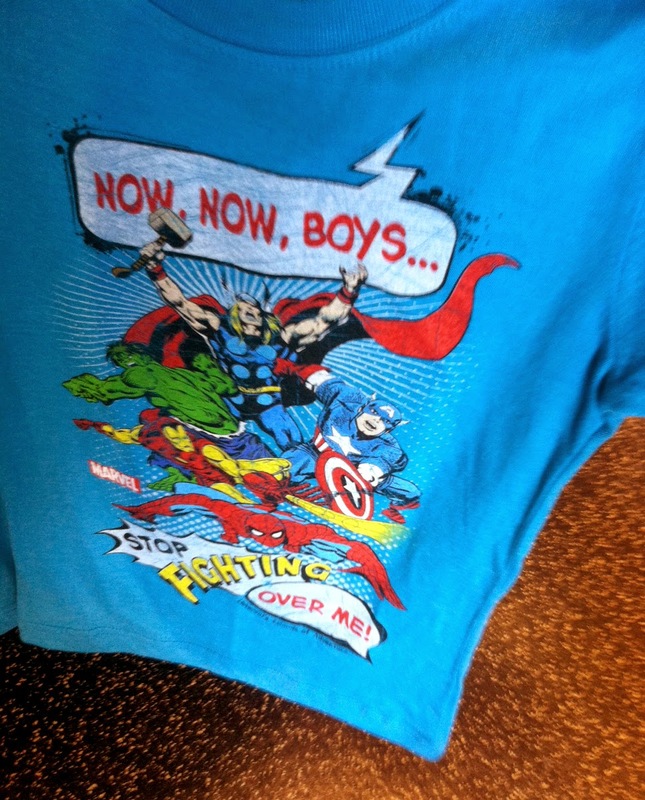 I made a repeat visit to Islands of Adventure a few months ago, and these are some examples of t-shirts for girls and women that I spotted in shops at Marvel's Super Hero Island. That wasn't all of them and again, 95% of the designs on t-shirts made for girls and women were in this vein. I mostly walked around the store making annoyed sounds every time I saw a different design. I just want more options for ladies and for dudes. Why can't it be equal? Come on, Islands of Adventure. Work with Mighty Fine and step up your game. Star Wars is everywhere. Like the Force, it surrounds us. The saga is embedded into our culture, and I come across Star Wars references in the weirdest places. For those who doubt, I had two such experiences last weekend. On Saturday, I went to the Stan Hywet Hall & Gardens. It's the sixth largest historic home in the country, and construction was finished in 1915. It was built for the Seiberling family - the co-founders of Goodyear. They had a few dollars. The estate is grand in every sense of the word. At 64,500 square feet, the manor is sprawling. The grounds are just as big and impressive, and much of the land and home are preserved. You can't touch any of the furniture or decorations because many of them are original and authentic, or they've been restored. It was a gorgeous place, and I felt very Lady Mary as I walked through the home on a self-guided tour. 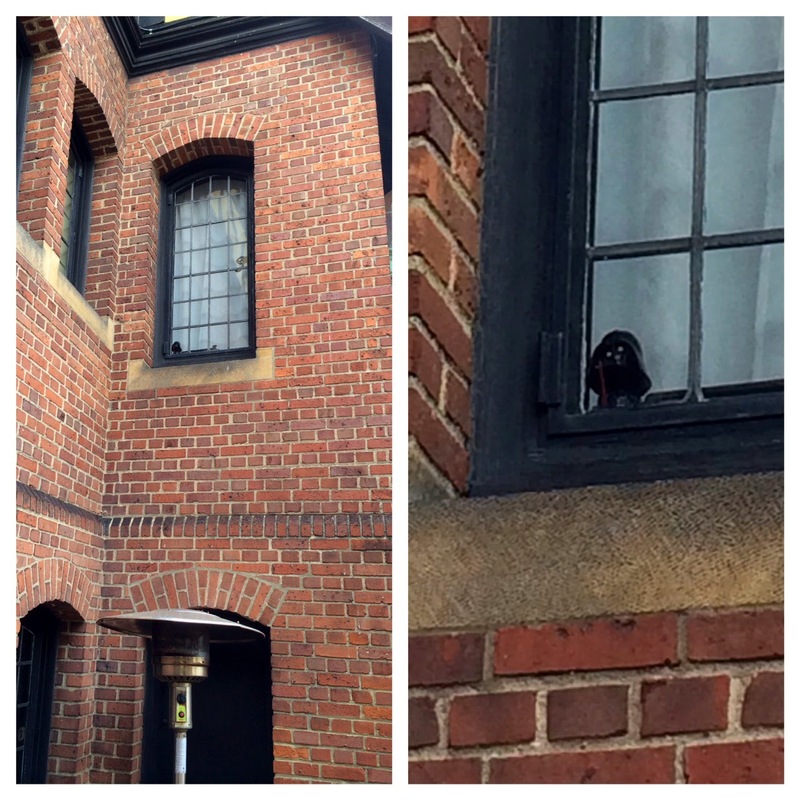 Weirdly enough, even in this historic home, there were Star Wars connections. Plural. They had an exhibit set up in the basement about old press camera flashes. Alongside examples of these cameras, there was a photo of Luke Skywalker's lightsaber and a note explaining that pieces of the hilt were made from the battery packs. Of course, they spelled lightsaber thusly: "light-saber" and called Lucasfilm "LucasFilms," but it was a still a happy surprise. What?! I wanted to ask an employee about it - there has to be a story - but I didn't want to risk someone getting grumpy and removing it. I hope to see Darth Vader sitting there the next time I return. On Sunday, I drove to Columbus to meet my mom and sister for a feast at Schmidt's. They offer delicious sausages, German potato salad, and heavenly mac 'n cheese. They also try to teach you some German while you're using the facilities, and they use famous lines from movies. As I washed my hands in the bathroom, I suddenly heard "May the Force be with you" followed by the German translation, "Möge die Macht mit Dir sein!" 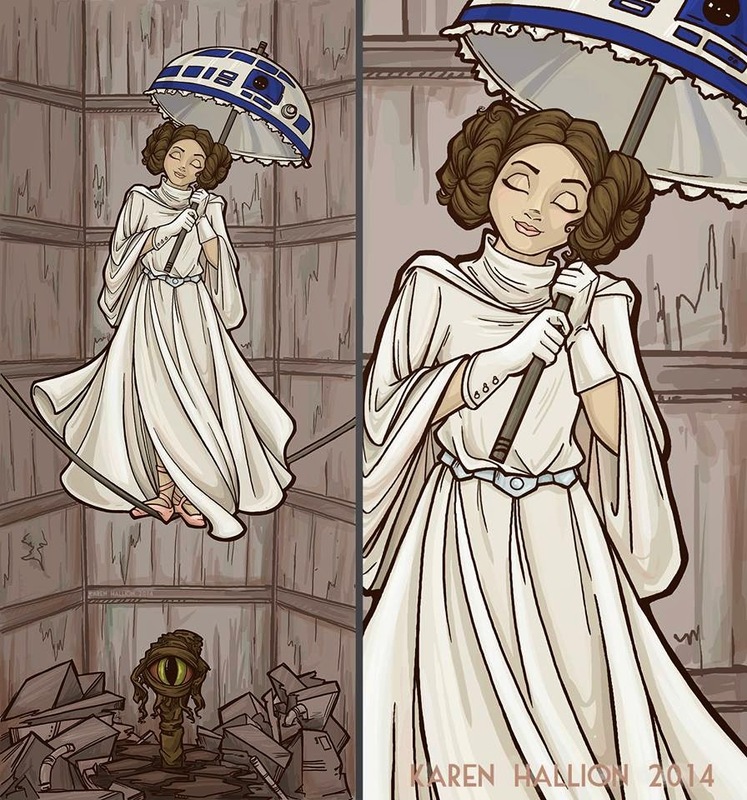 If, like me, you need to own the Star Wars meets Disney parks art right now immediately if not sooner, Hallion's got it available as prints, a tote bag, a coffee mug, and more in her Society 6 store. She's working on getting the design onto a t-shirt. "The Laws of Gods and Men" ripped up my heart. 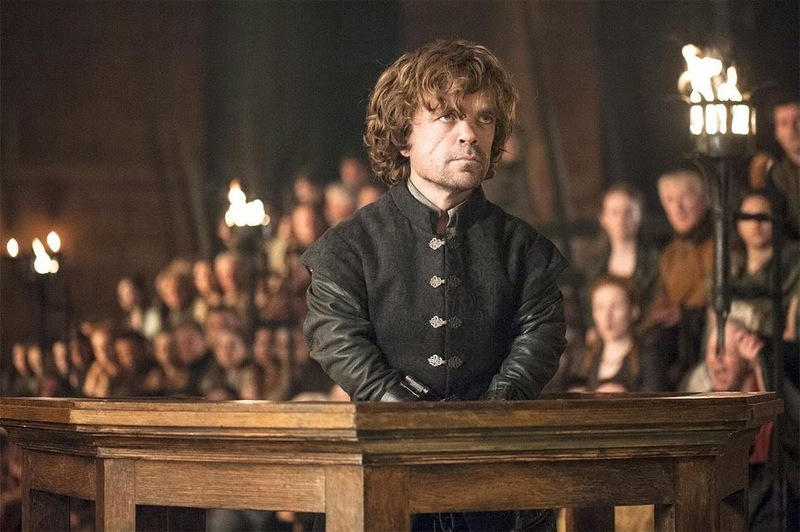 Tyrion headed to trial, and we spend most of the episode watching it unravel. 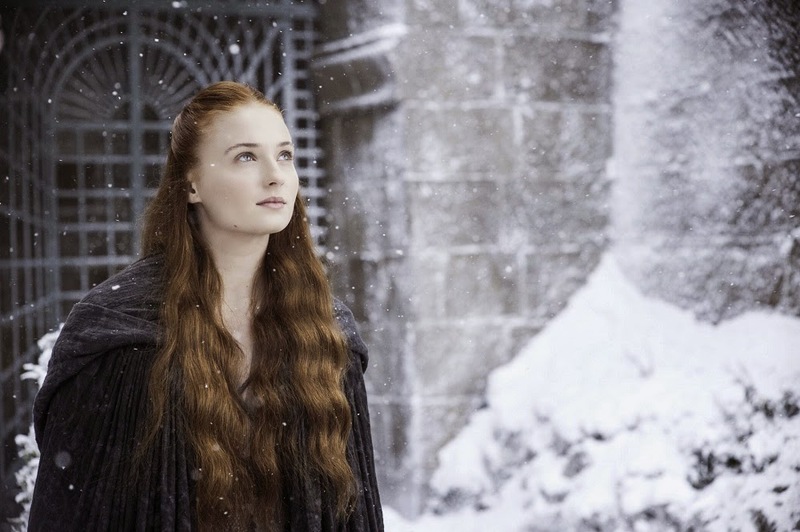 Though Game of Thrones often evokes feelings of sadness, last night's episode hit hard. - Prince Martell has quickly become one of my favorite characters. I love his humor but mostly, I adore Pedro Pascal's performance. - I miss the Littlefinger and Varys conversations from the first season, but Oberyn speaking with Varys was a fine substitute. It was a reminder that Varys' end game is anybody's guess and also showed Oberyn's more irreverent side. Actually, that's the side of his personality we see the most. They're good verbal sparring partners. - You can read about how much Dany's dragons are growing and becoming a problem, but it's different to see it in action. I have no idea how she's going to manage to control them and keep her children from turning on people. 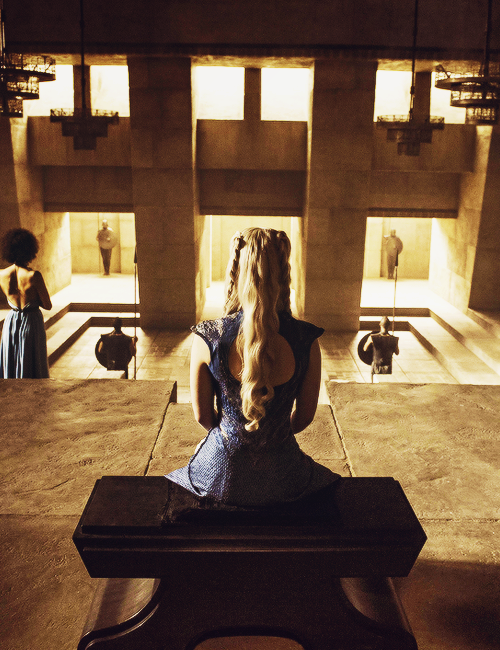 - I liked seeing Dany ruling her subjects. She shows compassion when necessary, but that may come back to bite her. - One more note on Dany: word of her accomplishments is spreading. If they're speaking of her during a Small Council meeting, you know they're worried. Is it time for her to arrive in Westeros yet? - As much as I don't care for Theon - and I really, really don't - it was a punch in the gut to watch Yara (I still think of her as Asha) leave him behind and say he's dead. After all she went through to get him back, he was just too broken. Seems like it seals his fate. - Hey, Mark Gatiss. And hey, addition of Braavos to the opening credits. The best part about Stannis and Davos' trip to the Iron Bank was Davos passioned plea. Right or wrong, he believes in Stannis. His loyalty after what he's seen Stannis do (namely, listening to Melisandre) is nothing short of astounding. - My heart broke for Tyrion. His trial deserved as much time as they spent on it, but I also wonder if the extended focus is a way to slow down pacing and give GRRM more time to catch up. Hmm. Whatever the reasoning, the trial was riveting. Peter Dinklage consistently delivers tremendous performances, but this may be his best of the series yet. His confession. My gods. I wanted to punch everyone who stood against him and hug Jaime for trying. Trial by combat is definitely his move, but it's sad that he was forced into using that card again. 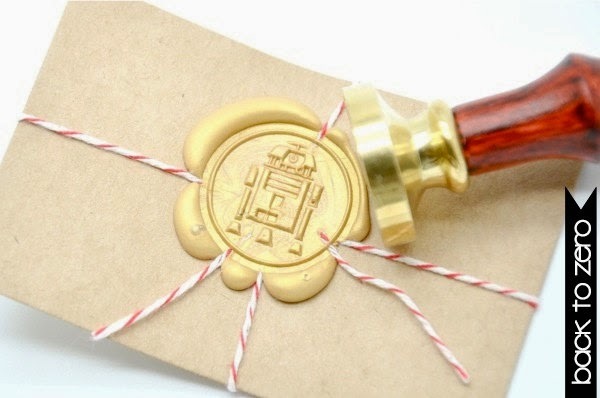 You never know what you'll find on Etsy when you're searching for Star Wars goodies. 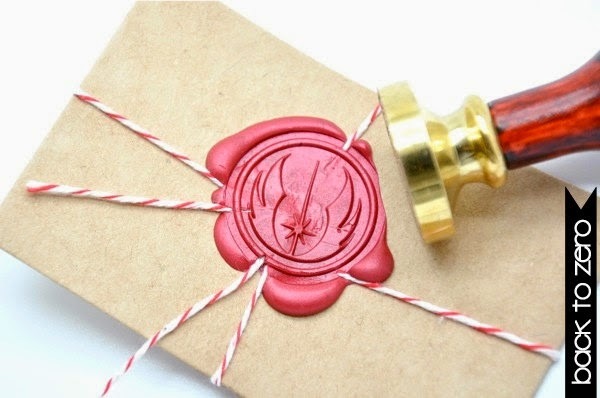 Sometimes it's household decor, sometimes it's kitschy jewelry, and sometimes you come across wax seal stamps featuring Star Wars symbols and you squee at your desk. 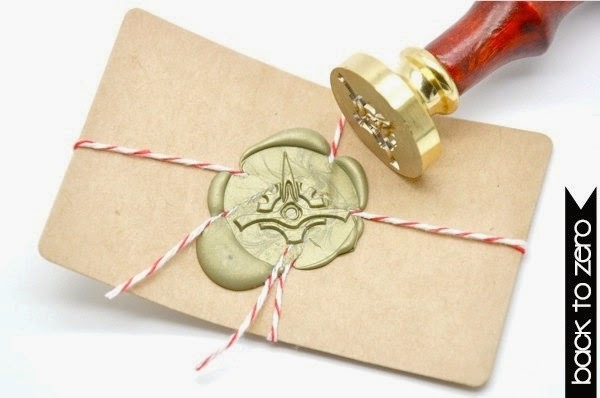 I admit I don't send as many letters as I intend to, but I love the look and feel of wax seals. They make any note you write seem more official and important. 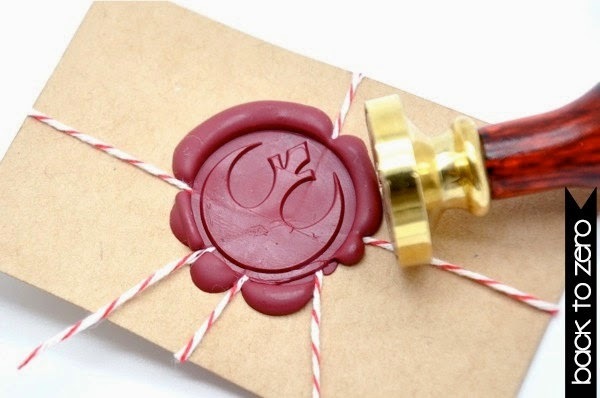 I could just be sending a postcard with a silly quote to a friend, but if I put it in an envelope and seal it with wax, it magically transforms into a serious document. 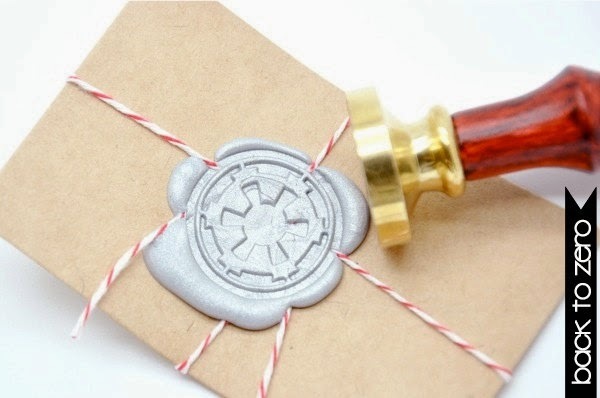 Shop for Star Wars wax seal stamps at Back to Zero. You can choose the color of the handle and whether you want to bundle the wax. 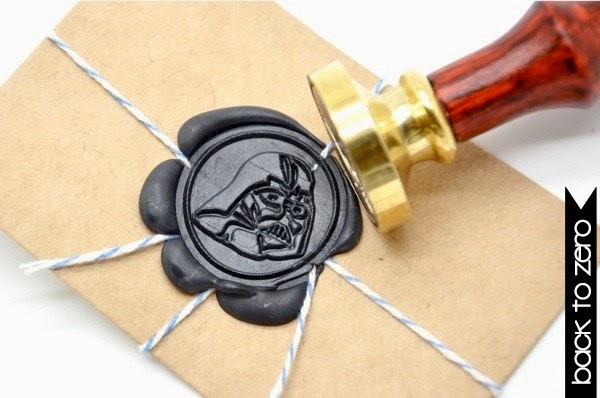 And yes, you'll find other nerdy designs like a Batman wax seal stamp in the listings. Keep in mind that turnaround time is about four weeks; plan accordingly if you want to use these for invitations for an event. Whether you're wearing a costume to a convention for the first time or the tenth time, things can go wrong. Wardrobe malfunctions are a common cosplay problem, but if you're lucky, you can repair them on the go at the convention without having to trek back to the hotel and taking the costume off. 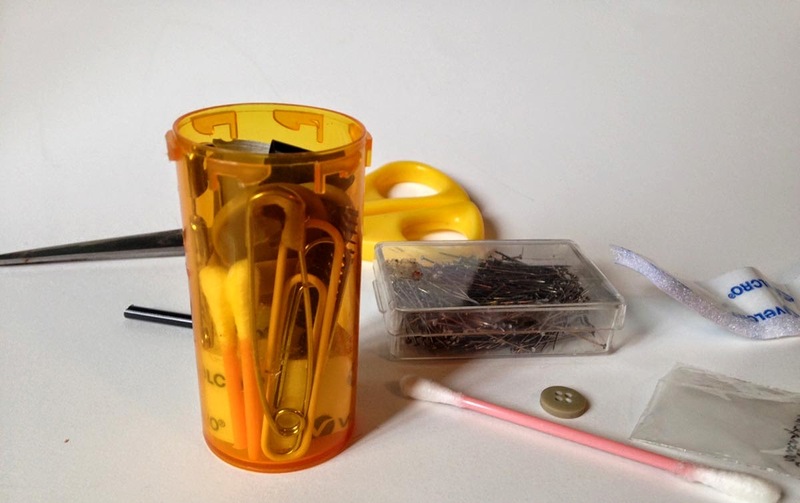 Safety pins, super glue, or Q-tips for quick makeup fixes can be life savers while cosplaying, and if there's not a Captain Patch-It wandering around to save the day, you can carry some basics with you without having to drag a giant bag around. 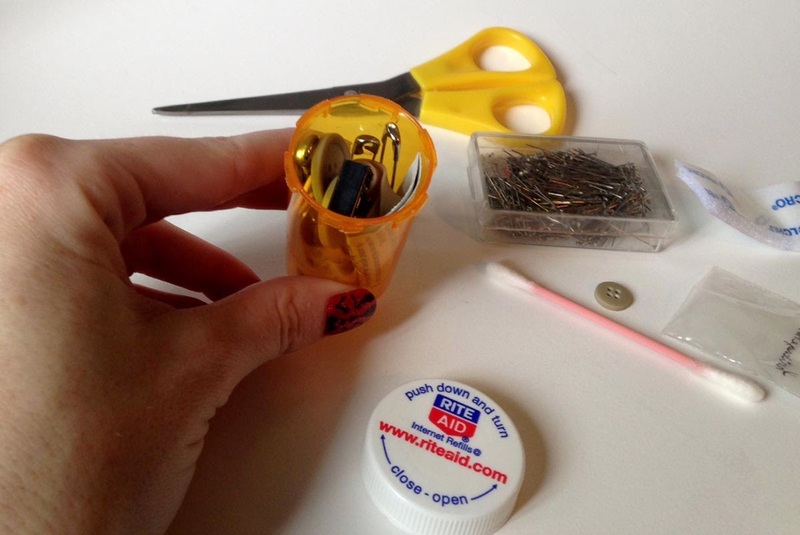 You can fit a a lot of essentials inside an empty pill bottle, and it only takes about 15 minutes to pull it together. Empty pill bottle, washed and dried - if you don't have any, ask a friend or relative. Lots of people save them. You can also buy them from eBay if necessary (they would make great gifts for cosplay pals - the repair kits that is, not the empty bottles). Your desk is a wonderful place to raid for supplies. Remember, this kit will have items for temporary fixes only. Call it your MacGyver stash. 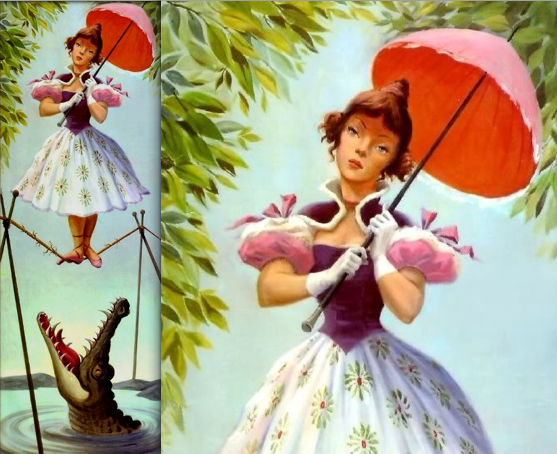 It's mean to keep you out and about in your costume, ready for photoshoots and adoration. You can handle permanent fixes from the comforts of your hotel room or at home. 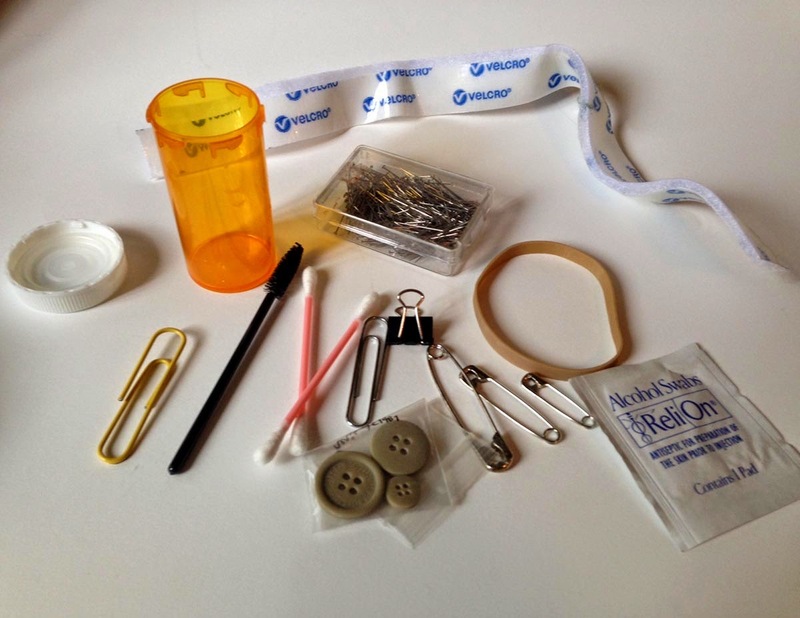 My repair kit includes Velcro, a Q-tip, an alcohol swab, a mascara wand, 2 buttons, 2 paper clips, 3 safety pins (different sizes), 1 rubber band, 1 mini binder clip, and 2 bobby pins. When you're done, you have a tiny and portable emergency cosplay kit that can fit into a small bag or a big pocket. You can safety pin a ripped seam together, glue or velcro an accessory or prop back into place, take care of a makeup mess up, or secure a wig or piece of clothing. The list goes on. If you want to take it to the next step, you can create a fun label and paint the cap. 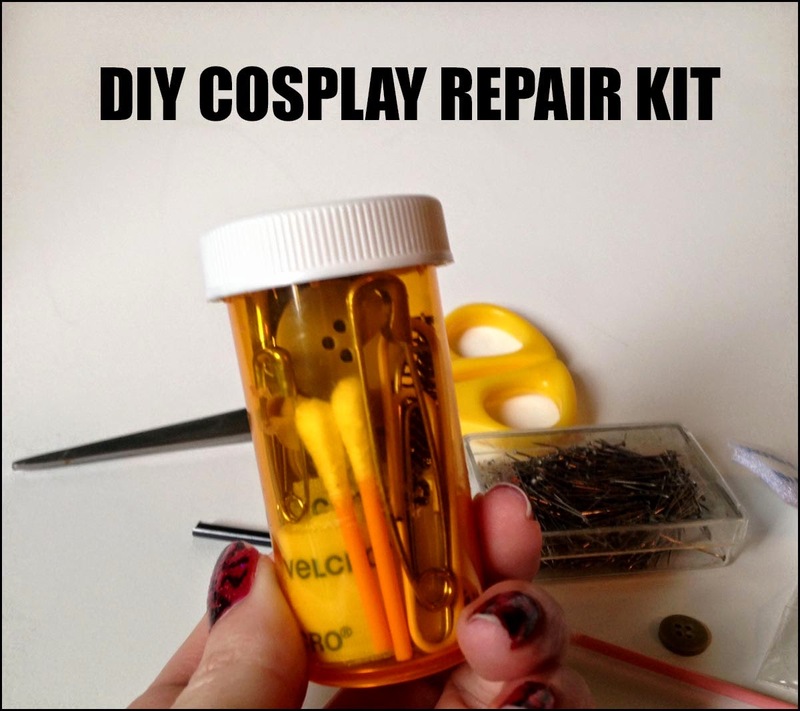 Let me know what items you'd include in your on-the-go cosplay repair kit. PS: My fingernails are not diseased; I painted them with a Darth Maul pattern for Revenge of the Fifth.